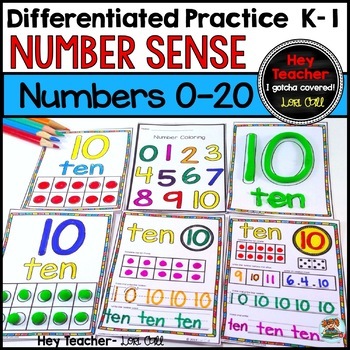 Differentiated Math Number Practice 0-20.Number sense develops gradually and varies as a result of exploring numbers, visualizing them in a variety of contexts, and relating to them in different ways. When children have daily opportunities to work (and play) with numbers, you will be continually amazed by the growth in their mathematical thinking, confidence, and enthusiasm about mathematics. 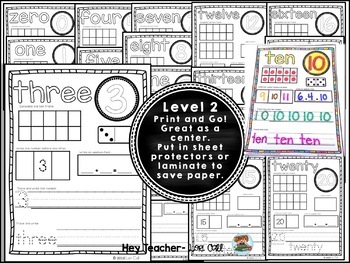 This packet will provide students with meaningful activities to help them understand early number concepts and develop number sense! On the first day of school I introduce a number a day as a math warm up. I enlarge the number papers to use as a model. I also use concrete manipulatives of each example on the page. I display my so the students can check their work when they are finished. The printing space is nice and big for children learning to print numbers! 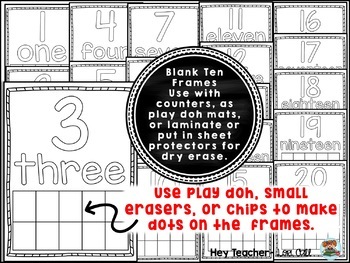 10 Frame flash cards to help students learn numbers in a flash! 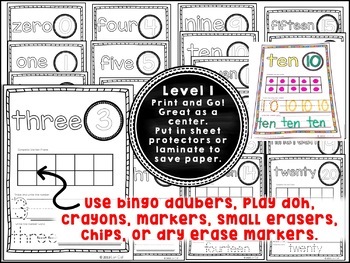 10 Frame Number Mats (laminate or put in sheet protectors to use as play doh mats or as dry erase boards) or use as coloring pages and rainbow writing. Please download the preview for a closer look. Follow Hey Teacher-Lori Call to be the first to know about my sales, discounts, freebies and new products.